Justin receives trophy from two brothers after 10 years of coaching! - Football training for children, football coaching for kids, kids football skills. Soccer Star Coaching.Football training for children, football coaching for kids, kids football skills. Soccer Star Coaching. 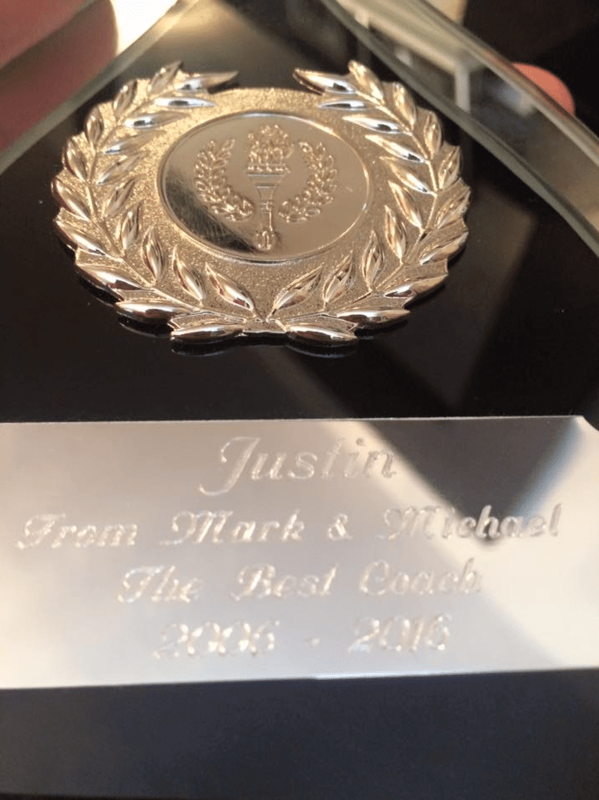 Justin received this special trophy at Friday’s session in Nottingham. 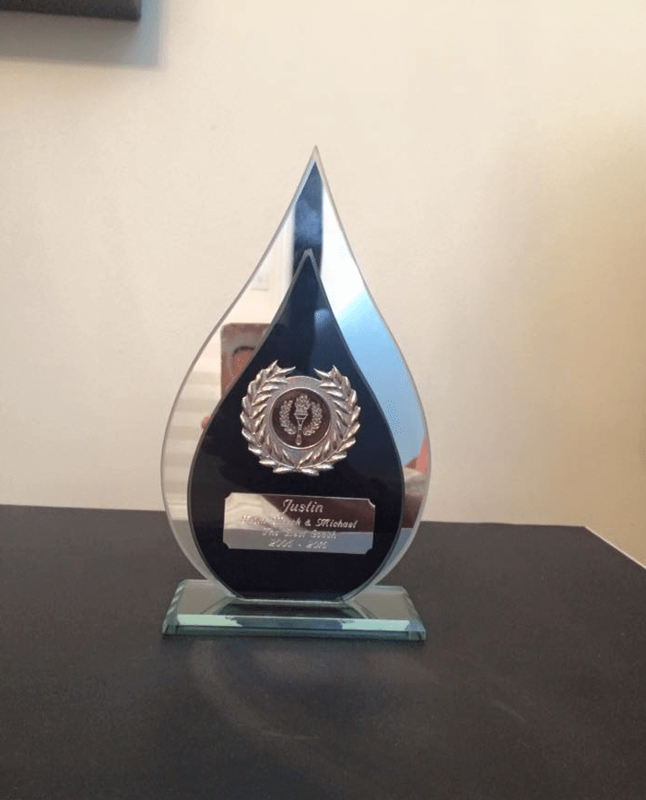 It was presented to him by Mark and Michael, two brothers that have attended the course for 10 years. Justin was truly overwhelmed and emotional when the boys farther, Eric, stood up in front of all the parents and children at the presentation on Friday and personally thanked Justin for all that he has done to help his boys over the last decade! The trophy and kind words are very much appreciated! Mark and Michael have been a pleasure to coach from the very first session all those years ago, right up to the last session on Friday. We will miss the boys and would like to thank them for their hard work and efforts in every session.